Activists say the Trans Mountain and Line 3 pipelines represent a broken promise. 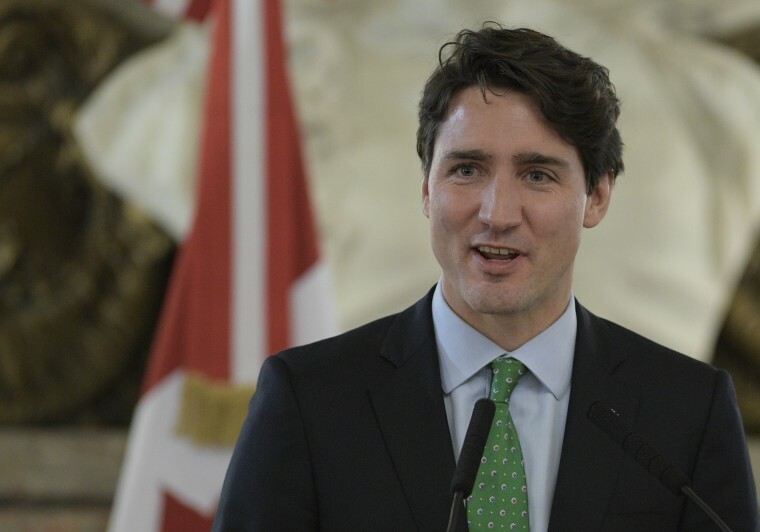 The CBC has reported that Canadian prime minister Justin Trudeau and his cabinet have signed off on two new oil pipeline projects, the Trans Mountain and Line 3 pipelines. Environmental and Indigenous activists claim Trudeau is reneging on key campaign promises, and hinting that protests similar to those in Standing Rock could be planned to greet the constructions. These pipelines will increase the western province of Alberta's oil output by more than a million barrels to be sold in the global market, which "is in the best interests of Canada," Trudeau said in his announcement. He also announced the rejection of a third pipeline, the Northern Gateway, due to community outcry and environmental concerns. Trudeau reasserted Canada's role as a "climate leader," mentioning Alberta premier Rachel Notley's plan to cap greenhouse gas emissions. In a statement obtained by the Edmonton Sun, Notley commended Trudeau's "extraordinary leadership" in addressing the province's ongoing economic troubles. However, many are outraged by the approval of the pipelines. Speaking with APTN, Stewart Phillip, grand chief of the Union of BC Indian Chiefs, called Trudeau a "serial liar" and said that the approved constructions were just the latest in a series of broken promises from the prime minister. And in Manitoba, Mitchell Van Ineveld, a member of the Manitoba Energy Justice Coalition, told the CBC that he believed large-scale protests will happen. "This is really a worst case scenario. These pipelines completely blow our climate commitments out of the water," he said. "I think we're going to see a Standing Rock style mass civil disobedience in B.C., but probably also in Manitoba, probably also in Alberta." Phillip, along with representatives of over 100 First Nations and tribes, signed a treaty yesterday prohibiting the pipelines from running through their lands. In 2016, Trudeau downplayed a campaign pledge that First Nations would hold veto power over pipeline projects running through treaty land. On December 9, Trudeau will meet with First Nations, Inuit, and Métis representatives to discuss Canada's plans for spurring clean growth and fighting climate change.